The patient has a very unusual atypical epithelioid tumor arising in a background of a compound nevus. 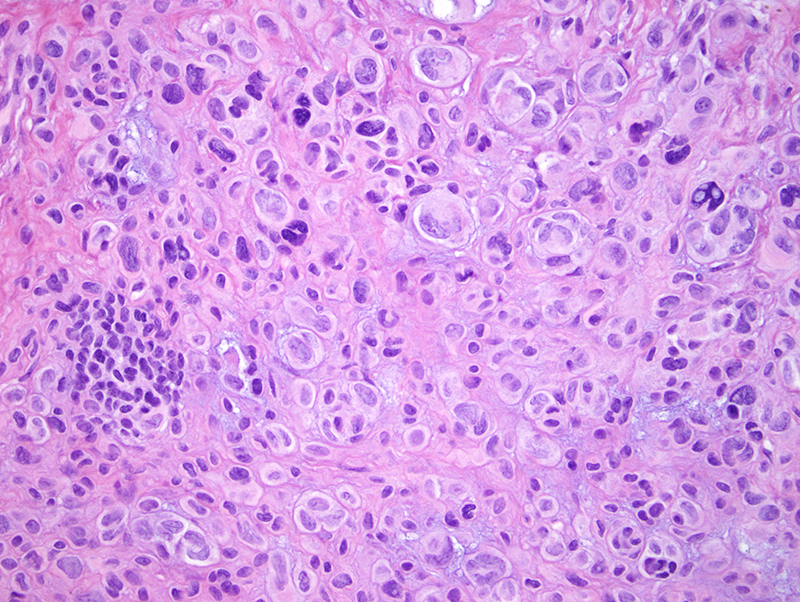 This nodule is composed of pleomorphic atypical epithelioid melanocytes. This proliferation defies categorization as a nevus. 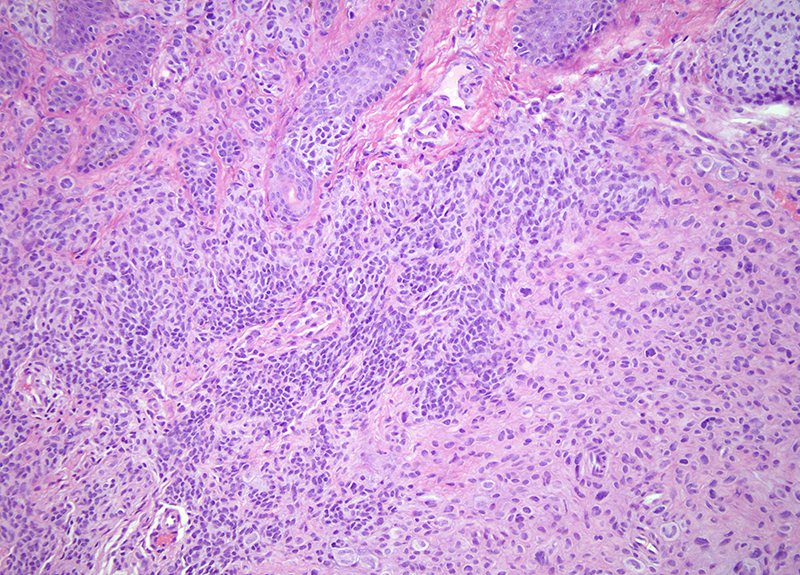 The differential diagnosis encompasses a nevoid melanoma with spitzoid features arising in a precursor compound nevus versus a melanocytic tumor of undetermined malignant potential with features of the atypical Spitz's tumor versus an unusual variant of the epithelioid spitzoid tumor namely one showing a loss of BAP1. 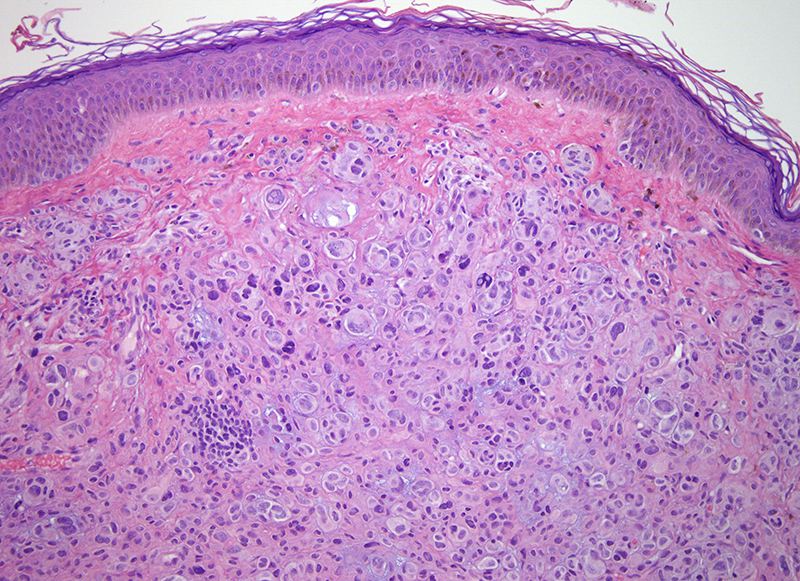 Given loss of BAP1 on IHC, the overall assessment is that of a combined lesion composed of an atypical BAP1-deficient epithelioid Spitz tumor and conventional melanocytic nevus.